Kapra Neue is a sans serif typeface, the younger sister of Kapra, published by Typoforge Studio which is characterized by rounded corners, new proportions & shape of glyphs. It comes in 3 widths (Normal, Condensed, Expanded), each with 8 weights and their italics. This elegant font is ideal for editorial and advertising purpose. Enjoy! 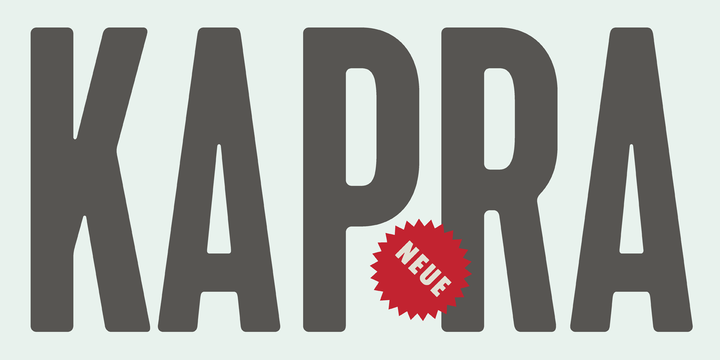 Price: startinfrom $29 for one font to $190 all 48 fonts. A font description published on Thursday, April 6th, 2017 in Typoforge Studio by Alexandra that has 4,442 views.